Shannon Shaw is blessed with one of the greatest naturally raw voices of recent years. 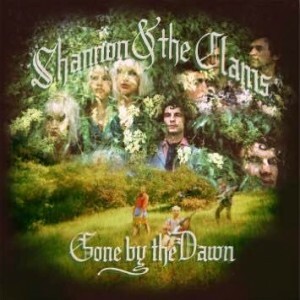 It’s obvious on all Shannon and the Clams‘ releases but their newest, Gone by the Dawn, showcases how fully toned her vocals can go. It’s also a necessary note on how well Shaw and Cody Blanchard’s (aka King Lollipop) voices pair together, especially on the heavy doo-wop that Dawn is calling to. The 1950’s was an era that always spoke to Shannon and the Clams, but Dawn leaves behind almost every garage/punk aspect that was present in their discography’s past. Blanchard takes the lead a few songs, like “It’s Too Late” and “My Man,” but maintains the sultry standing Shaw established. The cuts most like classic Clams are definitely “Knock ’em Dead” and “You Let Me Rust,” but those don’t pop up until the end of the album, sending listeners off in their characteristic way. Gone by the Dawn basically sounds like all the music the live band at the school dance would’ve played back in the 50’s, yet it’s not corny, contrived or overdone.